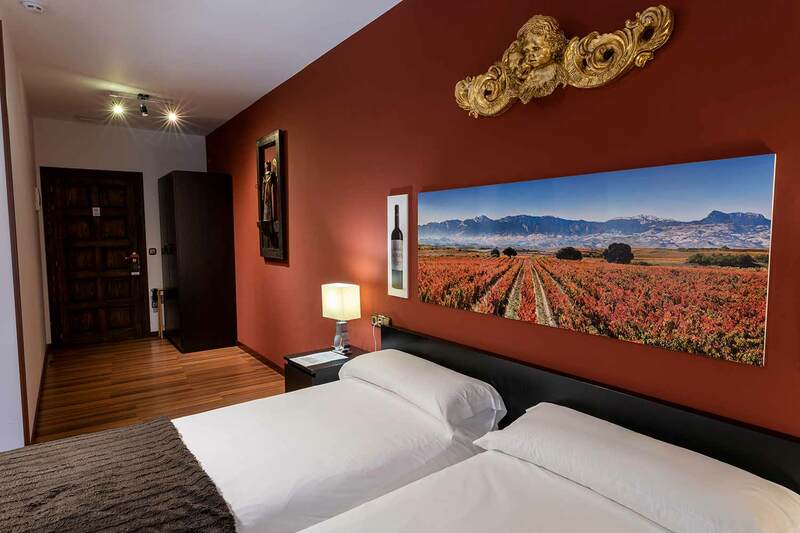 Come and enjoy staying in a XV century winery, where tradition and modernity joins to offer a unique experience. 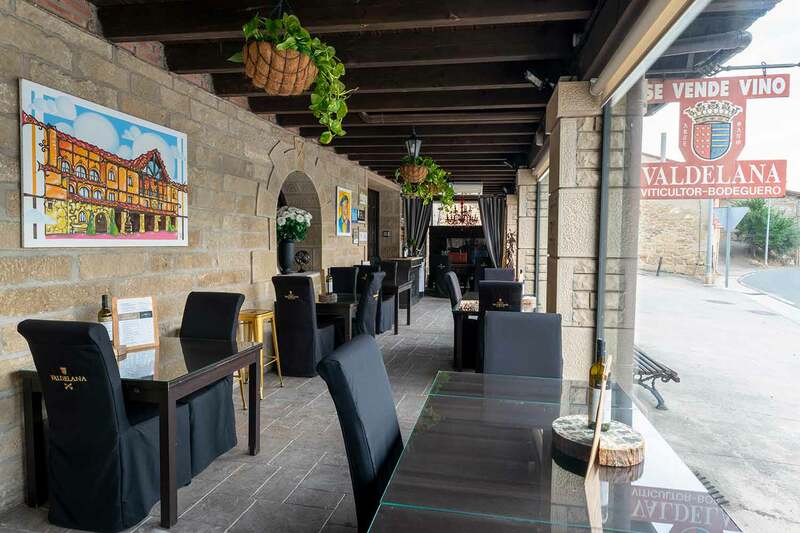 Rural tourism Valdelana is a located in Elciego, birthplace of Rioja Alavesa wines. 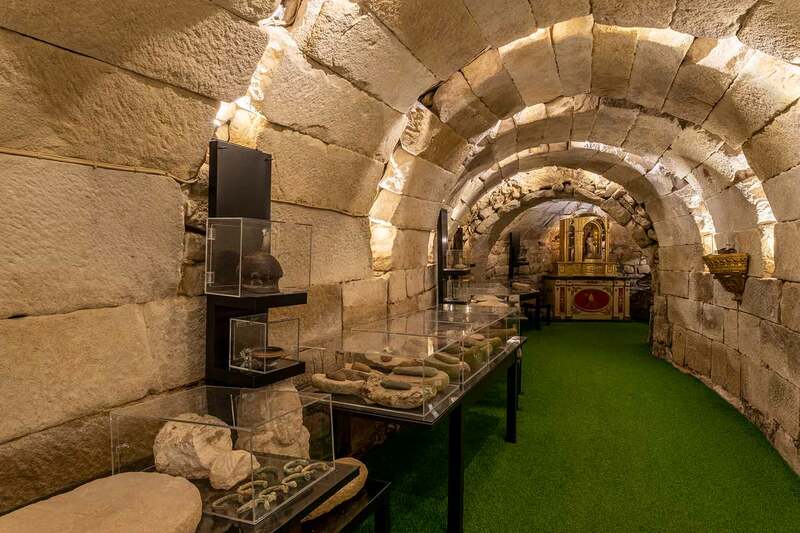 Sit on the foundations of underground cellars from the 15th and 16th centuries, the accommodation is in the same building as our Winery Museum and our Wine Shop. 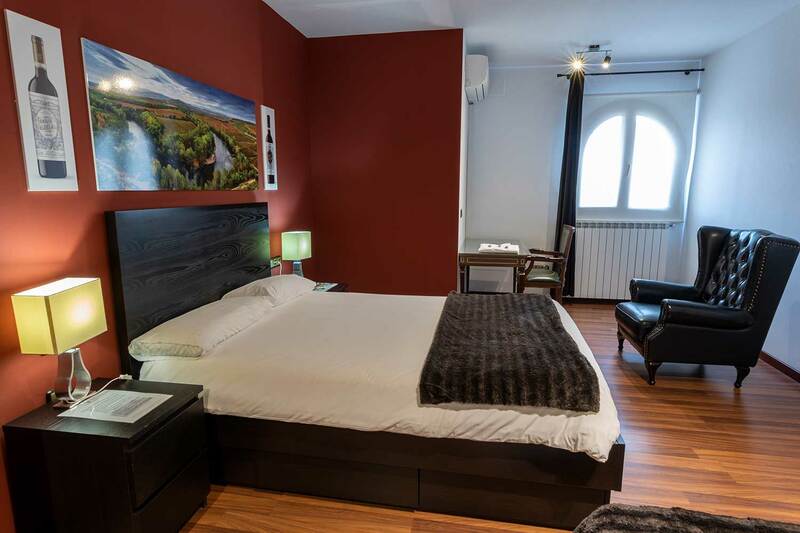 This historical construction is the perfect place to stay in and step into Wine Culture. 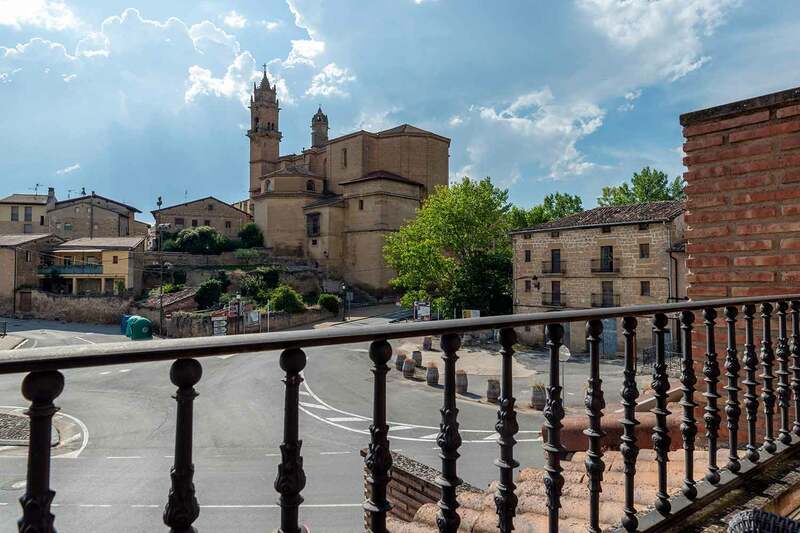 Besides, our rural accommodation is situated between Logroño (23 km) and Vitoria (50 km) in one of the most strategic points to visit our region. The opening of our rural accommodation took place in 2012. 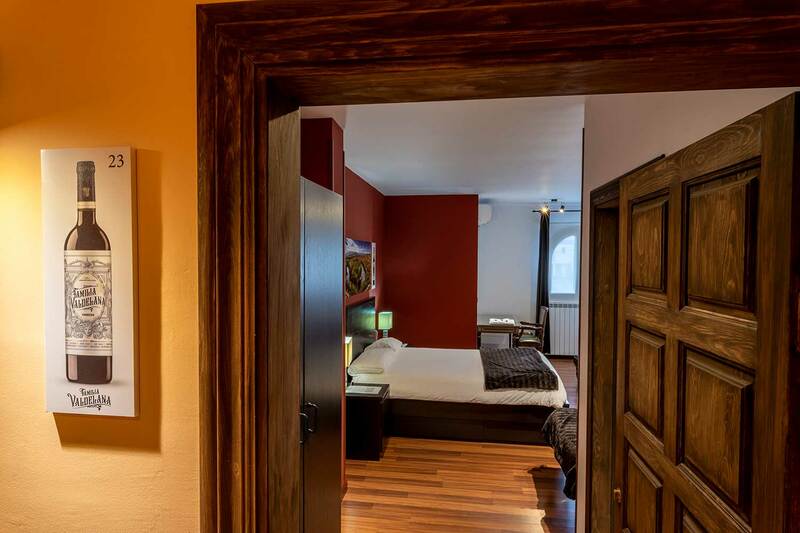 It has a total of 12 fully-equipped rooms in two different categories: standard and premium. 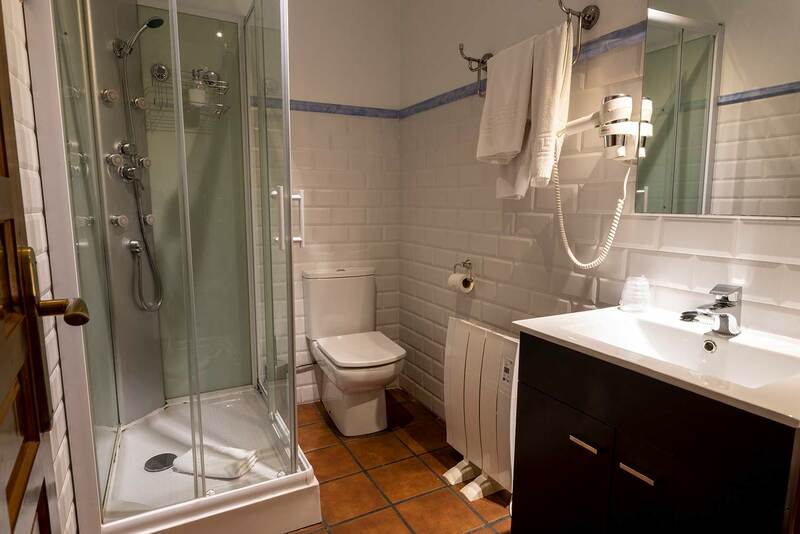 Every room is provided with an ensuite bathroom, heating and air conditioning, a flat-screen TV and free Wifi. 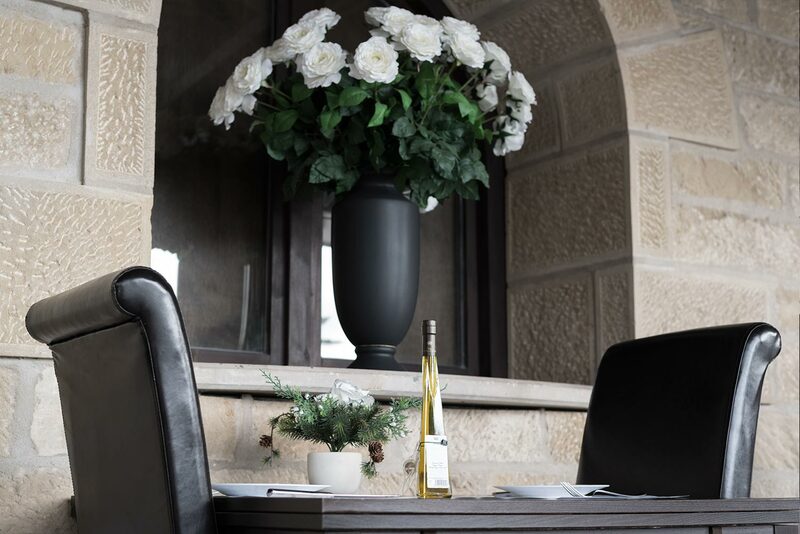 The price also includes breakfast, which is served in our glassed-in porch, and a guided tour through our Winery Museum, made up of the Ethnographic Museum, the Wine Museum and the Tunnel of Senses. At the end of the tour, we also taste olive oil and four wines produced by Valdelana Family. Every room is named after one of our wines. 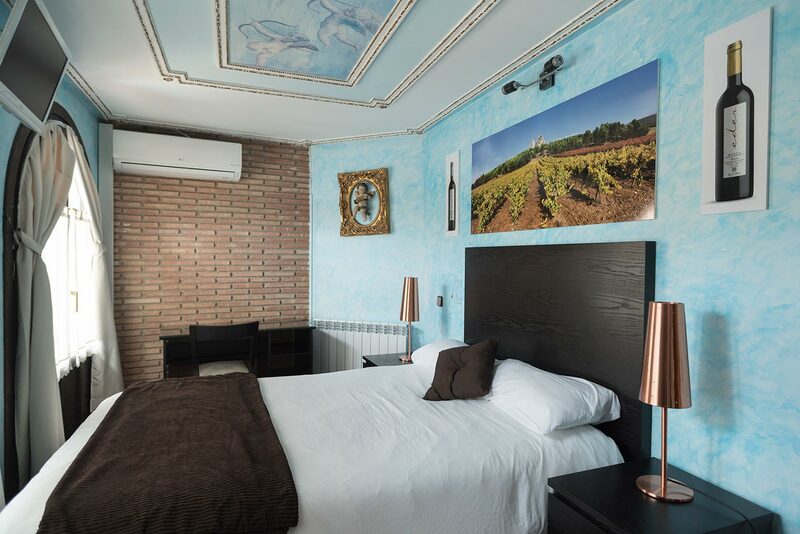 With a surface area of about 18m2, some of these rooms have a balcony with a privileged view over Elciego, where our visitors can taste some the wines produced by us. Size is the only difference between standard and premium rooms. Their estimated surface area is 13m2. 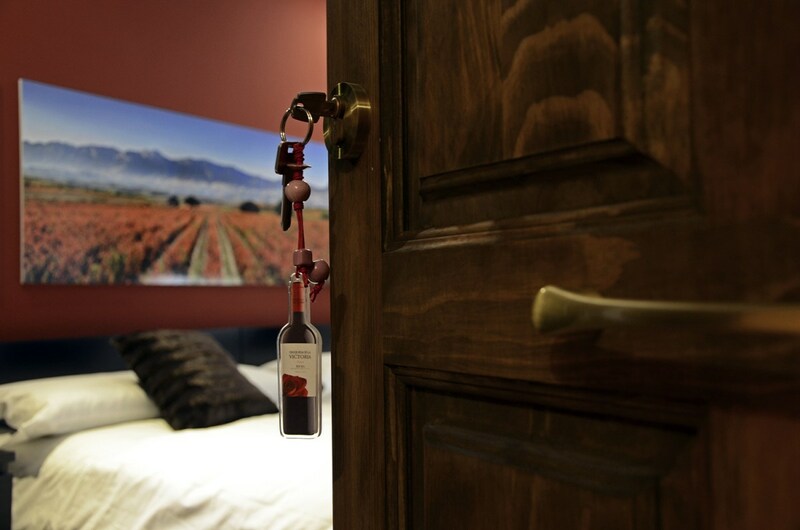 Standard rooms are also name after our well-known wines and are provided with the same amenities. Some of them have a balcony too. 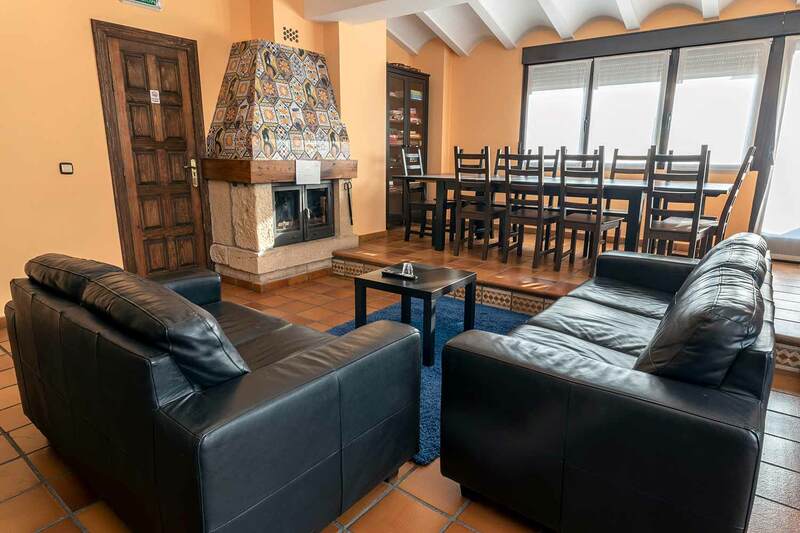 Apart from all the amenities included in the rooms, our rural accommodation also has a social room with a fireplace, a 50-inch TV, a leather sofa, a fully-equipped kitchen and a dining table, so that you will feel at home. 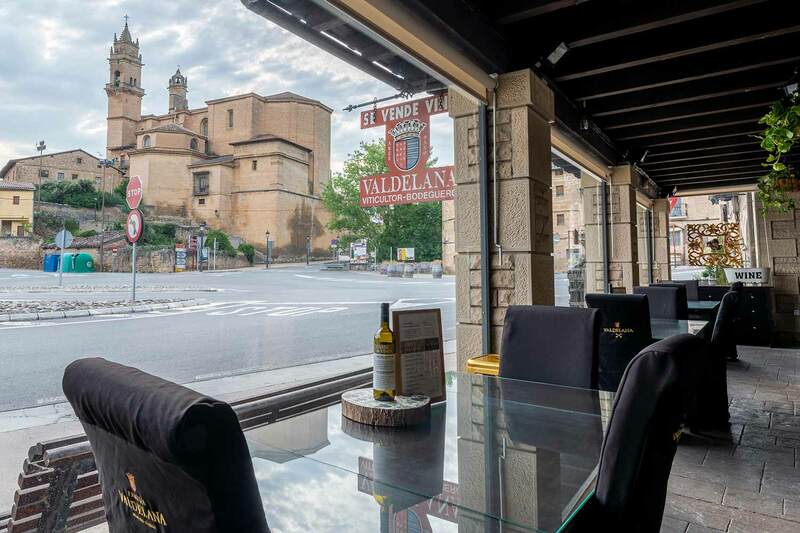 It also has a balcony with a fantastic view over the village and the building designed by the architect Frank Ghery, where you will be able to enjoy a bottle of our wines. Elciego breathes history in every corner and every street. Even if it is a small village, it has a broad historical and artistic heritage. The most representative monument is San Andrés Parish Church built in the 16th century. Its two impressive towers are some of its remarkable elements, but not the only. This church has a great artistic potential since it brings together different architectural styles, from Romanic to Neoclassicism. Although San Andrés Church is usually close, you can arrange a guided tour at Elciego Tourist Office. Tourists can also visit another temple, Nuestra Señora de la Virgen de la Plaza Hermitage, which is near the town hall. This 18th century religious monument is home to a sculpture of Virgen de la Plaza, the Patron Saint of Elciego. Daily service is hold there. 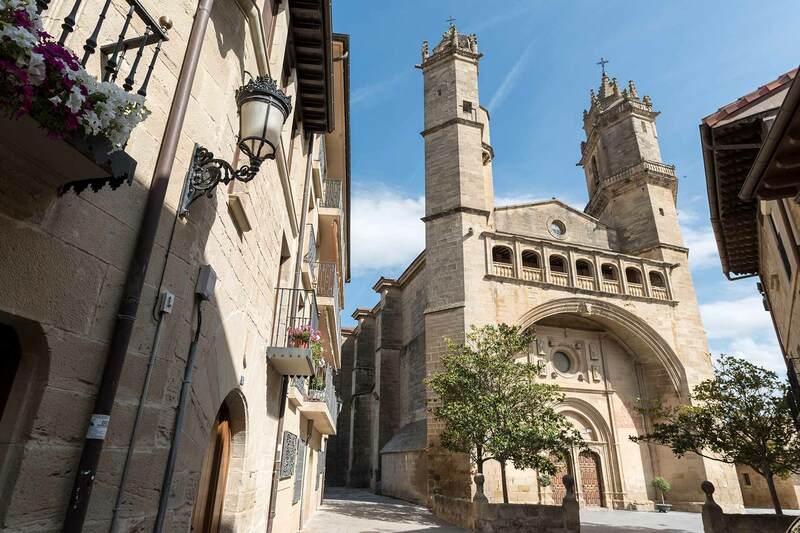 Besides these two Catholic buildings, Elciego has some other worthy places to visit: the town hall, Plaza Mayor and several palaces built between the 17th and the 18th centuries, such as Ramírez de la Piscina or Zárate Nabar Palaces and “Casa de los Hierros”. “Casa de los Hierros” is the familiar name of Navarrete Ladrón de Guevara Palace. One of our wine brands is named after Manuel Navarrete Ladrón de Guevara, one of the most distinguished men of Elciego. 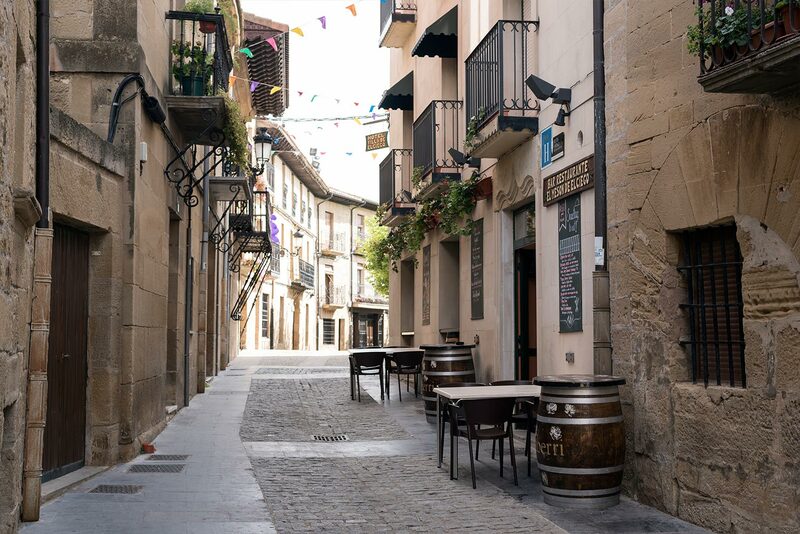 Apart from these renowned buildings, walking through the streets of Elciego is a tourist attraction by itself. 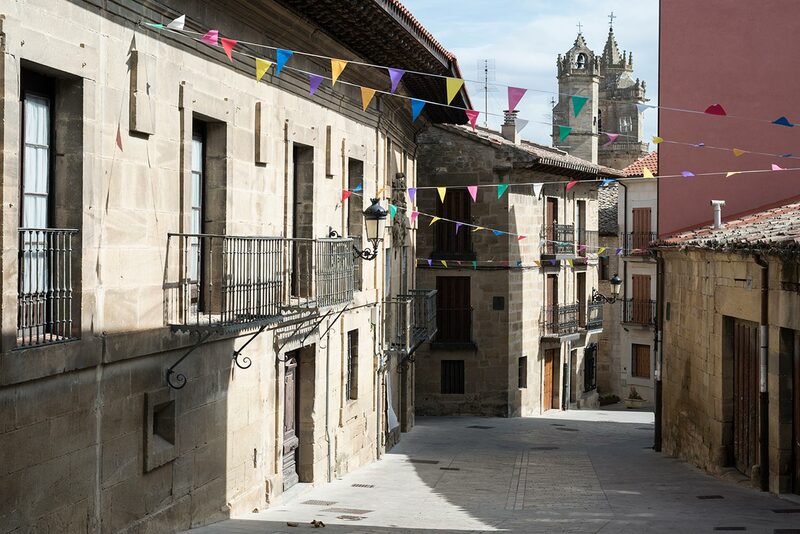 In spite of the passing of time, Elciego keeps its historical essence. Every wine lover must visit this region. Concerning Elciego, there are many wineries and some of them can even be visited. 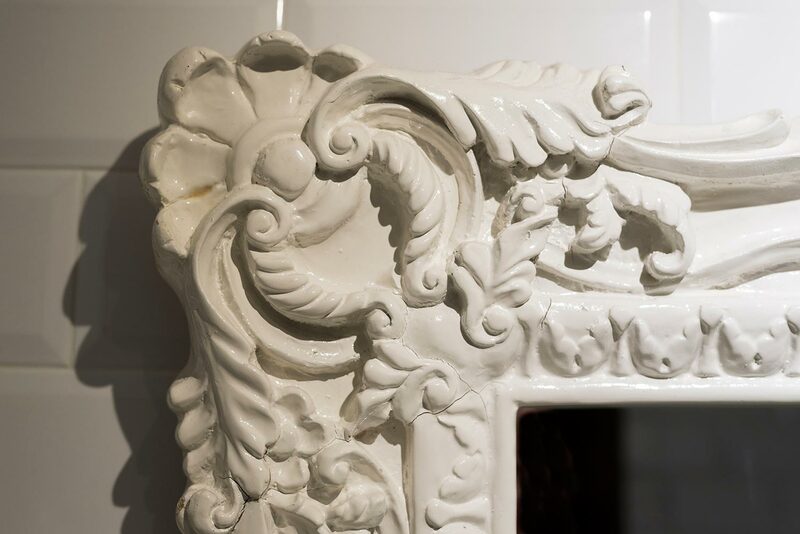 If you are interested in wine culture, come and visit our Winery Museum. During the guided tour, we travel backwards in time to explore the history of wine and the origins of our region. Every guided tour also includes a tasting of some of our products. 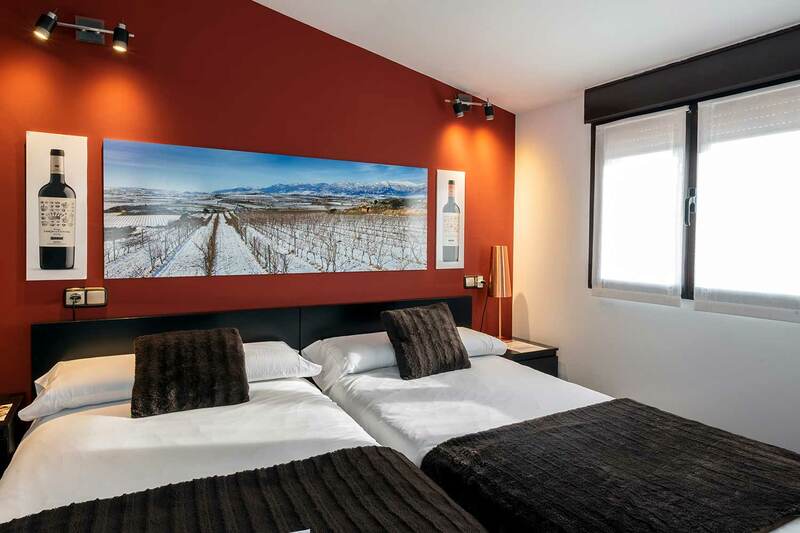 Elciego does not only offer wine lovers a wide range of activities, but it is also located in one of the most strategic points to visit Rioja Alavesa. Come to this region. You will be treated like a king. Laguardia, one of the most beautiful Spanish towns, is located just 5 km away from Elciego. Thanks to our customers reviews, our rural accommodation has been awarded by Booking.com and Tripadvisor. 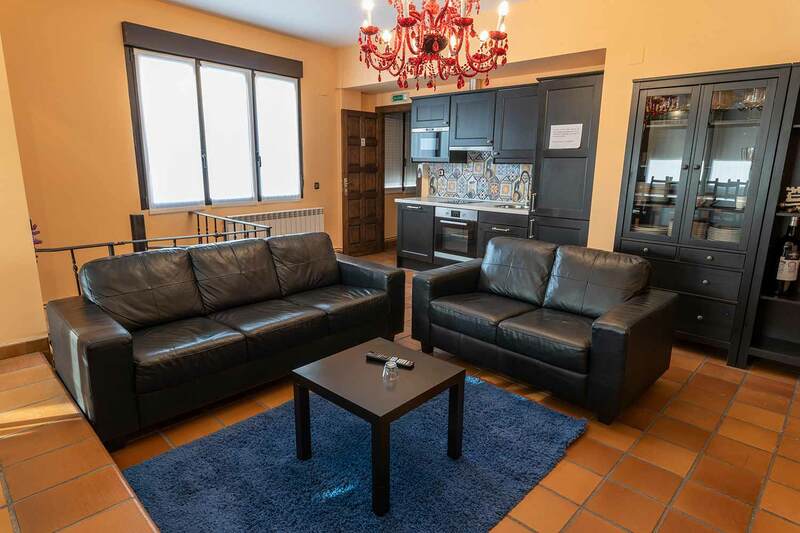 It is a fantastic place to stay in while tourists are visiting Rioja. "Hemos estado dos noches. 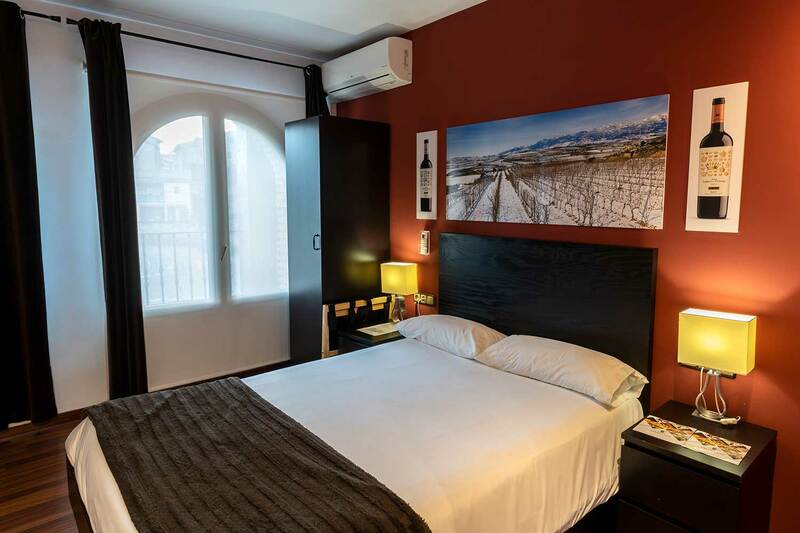 La verdad la habitación muy bien, limpia y la cama muy cómoda. Personal muy atento en general. El salón social un puntazo para tomar un vino tranquilo y picar algo. 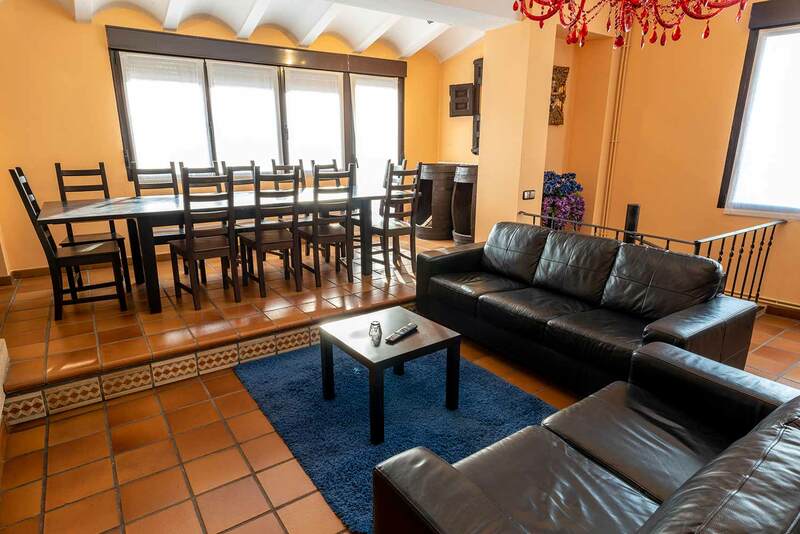 La visita a la bodega incluida en el precio de la habitación muy interesante, mejor incluso que algunas otras más conocidas." "This place is defiantly worth a visit. The tour of the wine cellars and wine tasting afterwards was brilliant. Even though it was a bank holiday the manager took us on a tour himself, it was fabulous. The hotel is really lovely, the staff are great and we had one of the best days of our holiday. I can not recommend this place enough. There really is nothing not to like." "Es un alojamiento con mucho encanto. Situado sobre una bodega-museo. La visita a la bodega y posterior cata de aceite y vino es gratuita si estás alojado. Desayuno continental muy rico con su pan con tomate y aceite de oliva, tortilla, buena bollería, zumo y café. Personal muy amable. Habitación amolia con vistas preciosas. Entorno muy bonito." What does room price include? 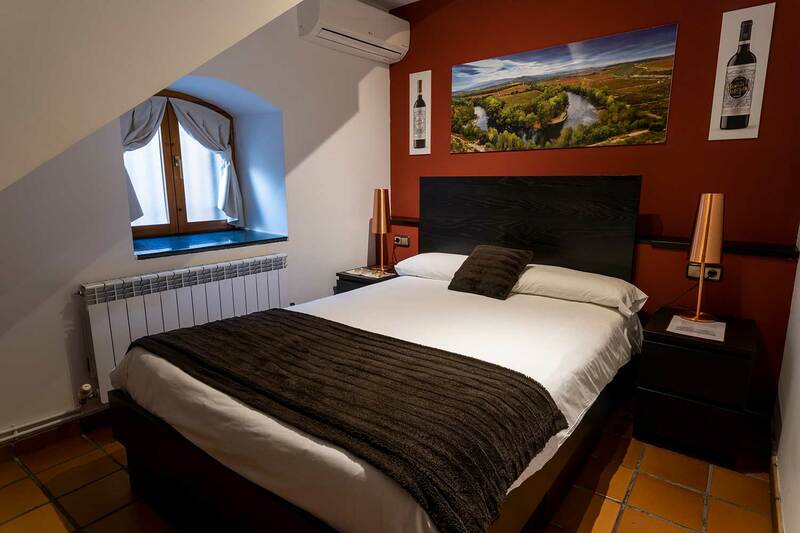 Room price includes breakfast, a guided tour to a Winery Museum, and a tasting of olive oil and four wines. Check-in time is from 14h onwards and check-out time until 12h. Is there a 24-hour reception service? 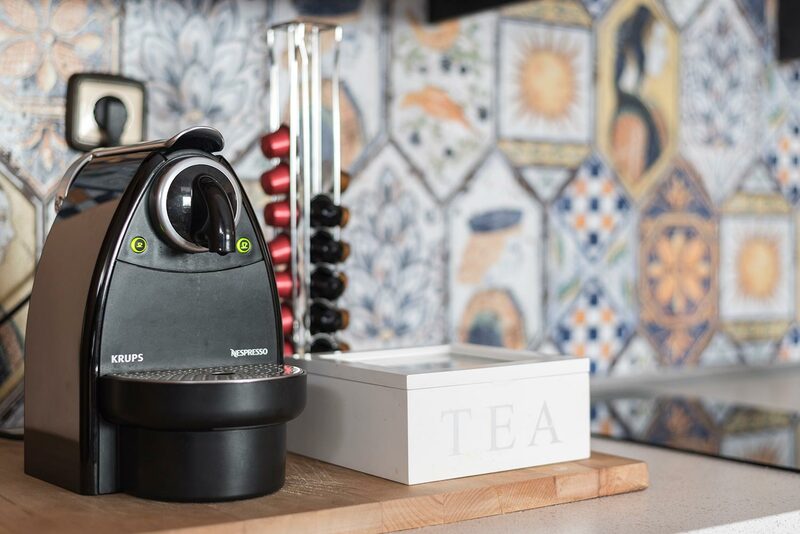 No, there isn’t, but you can always contact us on the following telephone number: +34 620 217 411. There is free WIFI available in every room and every public area of our Rural Accommodation. There are free parking sites near the building. There is always parking space available. Let’s enjoy this experience awarded with its second Best of Wine Tourism in the category “Art and Culture”. It is free for our guests.